Kora Lazarski works in business development for Chicago-based SPINS, which provides retail consumer insights, analytics reporting and consulting for the natural, organic and specialty products industries. Neil Young once wrote that he “crossed the ocean for a heart of gold.” The eternal quest for a real, good thing is one that everyone — especially those in the natural foods and products industry — can relate to. October was Non-GMO Month, an event created by the Non-GMO Project, which encourages the use of foods that do not contain genetically modified organisms and certifies that products claiming to be non-GMO actually are (you may have seen the “Non-GMO Project Verified” label on products in your local supermarket). October is also my birthday month. This intersection prompted me to reflect on what good, unmodified life means to me. 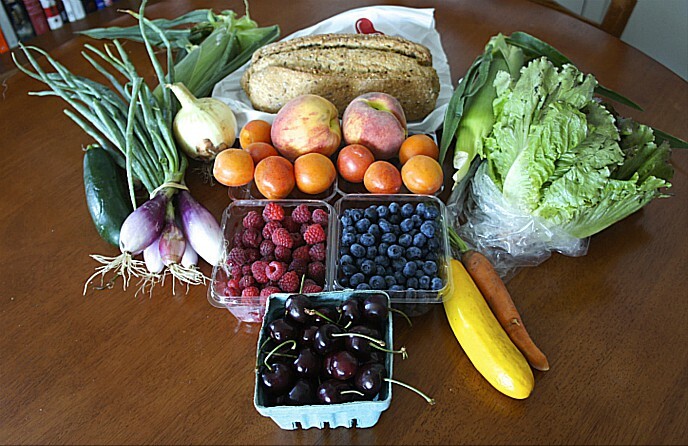 With inescapable consumerism, climate change disputes, an increase in labeling initiatives, social fatigue and a sea of conflicting information to navigate, it’s no wonder that what is “real” or “good” often eludes us. Perhaps the answer lies somewhere in the adversity of finding the answer itself. A mosquito-borne illness picked up during a horseback ride in Haiti prompted the author to think profoundly about the impact of man on nature. Adversity, in fact, is why each birthday is very special to me, perhaps even more than most people my age. I just turned 28, a routine event in the lives of most young Americans. But seven years ago, there was a moment when a rare illness — dengue fever — raised a serious possibility that I would not see 22, no less 28. 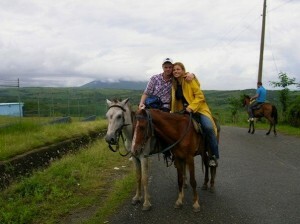 In 2007, while visiting Haiti, I was bitten by an infected mosquito during a horseback ride through sugar cane fields. The disease I contracted from the bite left me on critical life support for four weeks in ICU, and my parents were advised to make peace with the likely outcome. 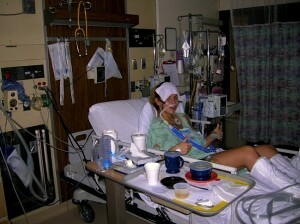 The author in the hospital during her life-changing health crisis. My doctors described dengue fever — dubbed the “bone crusher disease” — as the poster child for the downside of humanity’s impact on the planet. Urbanization, longer rainy seasons, and still water from deforestation fueled the mosquito vector’s vitriol. It seemed that our want for stuff encouraged this, and that taught me just what the turning axles of the First World mean for millions on the dilating rim. I wondered who was running the show if the machinations of the world were causing suffering and cannibalizing the very people they serve. Some people have noticed this too. The natural industry emerged in response to such plagues of excess. It has been wildly gratifying to witness these pioneers shed conventions, shun weak business practice, and stand against the grain for a future in which they believe. It appears they may be onto something: Total channel sales growth rates for natural retailers — the majority conduits of natural goods — were 11 times higher than conventional store sales in 2013, according to a data analysis by SPINS, the organization for which I work. These productive pioneers have come in many forms and from various angles, but one quality they seem to share is that they just don’t compromise their dreams, encoded like DNA in their being. Quite simply, theirs is a lifetime of good work, unmodified. Since life granted me another chance, I’ve had the privilege to witness some of these pros at work. During our last office sampling at SPINS, we focused on the fastest growing non-produce item by absolute dollar growth in the natural channel: Garden of Life‘s RawFit protein powder. I learned of their founder Jordan Rubin’s poignant dream and mission to create a natural, healthy line of products for people after his own encounter with Crohn’s colitis, a First World disease. Brian Ray, Garden of Life’s president, furthered this dream to drive the brand to the #1 spot for vitamins and supplements in the natural space, according to SPINS analysis. Their belief in dual certification of USDA Organic and Non-GMO Verified products as the future of food transparency is not unsubstantiated. Our data shows that Certified Organic seals have grown 15 percent in quantity in the past year, and non-GMO seals have grown 21 percent. Total revenue of dual-certified products across all channels has grown 12 percent in the past year, suggesting a huge opportunity in mission overlap, alignment, and clarity for consumers. So, it’s safe to say that natural retailers are exploding with growth, certified products are booming, and there’s still a long way to go toward full transparency. Enter Jim Slama, president of Family Farmed, who just launched the outstanding Good Food Business Accelerator, a fellowship program based at 1871, an innovative business incubator located in Chicago’s historic Merchandise Mart. 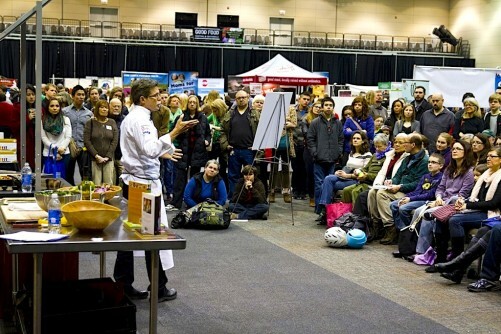 Aimed at providing mentorship, technical support and networking opportunities to selected entrepreneurs — who are building businesses in the Chicago region’s local and sustainable food sector — the Good Food Business Accelerator distills the collective knowledge of natural industry stakeholders to help emerging sustainable food brands scale up in the competitive retail world. Just as the noise about the need for unifying these good attributes and certifications reached a roar, I attend the Oct. 1 launch of this accelerator and am again satisfied that someone’s on it. 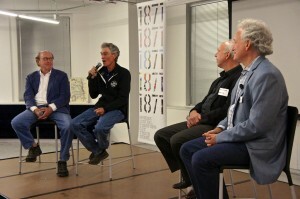 The entrepreneur panel discussion at the Good Food Business Accelerator event featured (left to right): John Hall, founder and longtime CEO of the Goose Island craft brewing company; Gene Mealhow, farmer and co-owner of the Tiny But Mighty heirloom popcorn company; Irv Cernauskas, who with his wife runs Irv and Shelly’s Fresh Picks, a Good Food home delivery service; and FamilyFarmed President Jim Slama. Equally inspiring was Jim’s buddy, Gene Mealhow, CEO of Tiny But Mighty Popcorn, who spoke on a panel at the Oct. 1 event. He appeared on the exact day that the New York Times published a three-page article about his pioneering work in growing and marketing an heirloom variety of popcorn. Gene has weathered multiple floods on his Iowa farm that nearly washed his non-GMO popcorn business away with the perseverance and comeback of a true rock star. Again — no compromise. I can’t say I know what’s next, only that I know the story isn’t over. I’m working at a company that is bearing witness to these agents of change, tracking their growth very closely, and providing evidence to write the story of this new, good world. To me, a life unmodified means sticking to your values, giving allowance to but not changing yourself for your critics. A life, unmodified, permits equal opportunity for everyone in the garden of life to find and show their hearts of gold, too. This entry was posted in Food and health, Good Food Business Accelerator, Good Food movement, Natural food and products industry and tagged FamilyFarmed, food and health, Garden of Life, Good Food Business Accelerator, human impact on nature, Kora Lazarski, natural foods and products industry, SPINS. Bookmark the permalink.